With the particulates still settling over the VW emissions scandal, automakers are under scrutiny like never before. 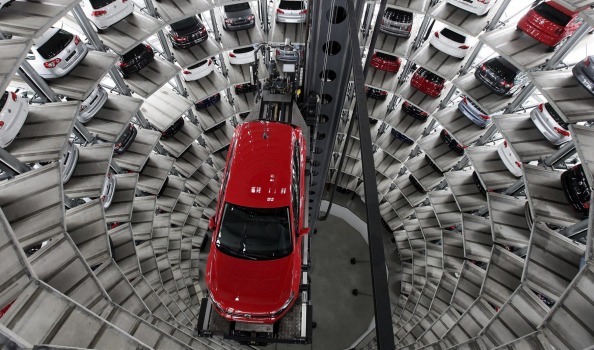 Yet VW may not end up being worst off – not by a long shot. Almost a month into the VW emissions scandal, repercussions remain within the realm of conjecture and the view ahead no clearer. Everyone wants answers – VW owners who feel cheated and in possession of a tainted product, legislators (complicit or no) who now have to deal with the political fallout, and us – the faceless commentators who dole out harsh judgements from a safe distance, before scuttling back to the safety of our caves. Answers, not only to the level of culpability within VW, but also what, if any dishonesty has taken place within the wider industry when it’s now clear the testing regime has been hopelessly rigged in the carmaker’s favour. Today then, we’re peering myopically into the looking glass to discern what could possibly lie ahead for an industry still reeling from the biggest potential threat to its survival since the oil crisis. Of one thing we can be certain. Emissions regulations within the European Union will be tightened, testing regimes will be altered to better reflect real-world driving conditions and manufacturers will be less likely to be let off the hook should they fail to meet them. It has been reported this week that the motor industry’s Brussels lobby group are insisting significant progress on NOx emissions will not be possible before 2019, a position that firstly appears more like an opening argument for a protracted negotiation strategy and secondly one which doesn’t seem likely to cut much mustard against a legislature that will have a lot of explaining to do as embarrassing facts continue to emerge. According to Automotive News, the likely regulatory crackdown on NOx emissions could add a €300 surcharge per engine to manufacturer’s costs and with Euro 6-compliant diesel engines already €1,300 more expensive than their petrol counterparts, the economic viability of diesel technology at this end of the market looks drastically less assured. In a cruel irony, the ultimate fallout of NOxgate may not in fact hurt Volkswagen as badly as weaker rival manufacturers – a matter we pointed out in September. Automotive News this week quotes a source at a French supplier of diesel emission tech, who talks about the likelihood of an enforced move towards hybrids, saying; “this VW tidal wave will accelerate the shift… some carmakers aren’t ready for this”. It’s not difficult to see who could be severely compromised by this turn of events. Both PSA and Renault rely on small capacity diesel engines for 60% of their European sales. A collapse in this market is only one unthinkable future, worse is the reality of being forced to spend €billions making diesel – a technology with a finite lifespan – comply with tightening regulations, while simultaneously spending at least as much again developing hybrid powertrains. It looks highly likely now that for small cars at least, diesel has no future. But it isn’t a simple matter of turning off one tap and switching on another. Engine programmes are vastly expensive with their costs amortised over decades. Switching to petrol power units wholesale could cripple the two big French manufacturers, just as they were beginning to turn themselves around. However, one potential saving grace could be PSA’s Hybrid Air technology, which should funding materialise, could potentially be re-purposed to work with petrol power units. Who’d now bet against the French Government intervening in the national interest in order to save the hundreds of thousands of jobs threatened by the failure of either car giant? The EU won’t like it much, but faced with the meltdown of two hugely significant employers, to say nothing of the Europe-wide supplier base, I can’t see too much opposition taking place. Reported talks between PSA and Tata-JLR this week could also prove highly significant. Meanwhile, Fiat too appear fearfully exposed with 40% of their European volume being small capacity diesels. FCA haven’t the funds to develop hybrids – they’re burning through €billions getting Alfa Romeo off life support while propping up their colossal debt burden. GM and Ford cannot afford to be complacent either – Opel in particular having little to offer Europeans should diesel fall out of favour. A situation which can only strengthen Sergio Marchionne’s hand in his bid to merge FCA with General Motors. Should GM Europe’s fragile recovery hit the rocks, who’d bet against the woolly mammoth getting his way after all – especially with China also turning off the taps. In fact, we could now end up witnessing the kind of industry-wide consolidation Marchionne has been predicting for years – but for all the wrong reasons. Industry experts concede that diesel isn’t totally finished however. The costs associated with cleaning up NOx can be absorbed further up the marketplace, so for larger, more expensive cars, diesel will conceivably remain an option – in the short to medium term at least. JLR’s Ralph Speth certainly thinks so, Land Rover pressing ahead with the roll-out of diesel Range Rovers and Jaguars in the US market. Speth told Automotive News last week that JLR has no plans to bring a pure electric car to market until such time as battery technology improves, citing battery weight and disposal as serious issues. Certainly, it can be argued they’ve been caught on the hop – having just invested billions on a purpose-built facility to produce their new-generation diesel (and petrol) engines. Speth can only hope his prognosis is correct, because were it not to be, JLR also appear perilously exposed. So with diesel looking to be (largely) sidelined in favour of petrol-electric hybrids, the motor industry losers appear (once again) to be the long standing mainstream European manufacturers. Meanwhile, Toyota and Honda with their head start in hybrids can afford to look smug. Renault bet the farm on EV’s and have paid a heavy price for calling it wrong, while Nissan reportedly cancelled its hybrid programme when Carlos Ghosn took office. Hindsight is brilliant isn’t it? Yet despite the negative headlines, some investors continue to back VW – one telling journalists this week, “VW spends more on R&D than anyone in Europe, why should I sell?” Of course, Volkswagen won’t come out of this debacle smelling of roses, but even a diminished, shrunken VW appears likely remain a formidable player – in Europe at least. look where it has gotten them! For years now a big hybrid negative has been the initial cost premium compared to conventional cars but that will no longer be the case with diesels having to undergo expensive upgrades to comply. Its interesting too that GM have discontinued their Ampera extended range electric in Europe at a time when its needed, maybe we will see a change of heart on that in the coming weeks. What a lot of repercussions. One fix is to alter vehicle taxation to offset the cost of cleaner diesels. That would have a fiscal cost for government but might be cheaper than funding the dole register. Would that mean everyone would pay the higher tax or just the polluters? Up to now hybrid and electrics which escape tax completely have taken flak from others for them having to subsidise these clean cars. Significant progress on NOx emissions could be made by the end of 2015, if European car buyers switch in a decisive way from diesel to petrol. In terms of running costs, petrol is already competitive in small to medium cars, the gap only widening with bigger, heavier vehicles. The key issue is the tax system, which has been based on claimed CO2 outputs (which, as we all know, are a nonsense, and unachievable in the real world). I am no climate change denier, I totally understand the need to reduce CO2 output, but it’s time law makers took a rational look at what actually works, rather than paper exercises which are doing nothing for the global environment or local air quality. The car makers won’t like this, but personally I favour a system that promotes a longer life for well-maintained vehicles, focusing on ‘whole-life’ emissions. This means, perhaps, a tougher test regime for older cars (MOTs and their ilk) and a reduction in parking charges that penalise older cars for being ‘dirty’ while encouraging your neighbour to buy a brand new diesel SUV which is poisoning your neighbourhood. dgate: as pretend chancellor I’d reduce the purchase tax on the compliant cars so as to preserve the existing relative price levels. As I know nothing about the subject this may entail impossible tax calculations and hopelessly distort the market. That I admit. Eóin, a small point of correction for the Nissan-Renault Alliance: Nissan do have hybrids in production. As well as the V6 hybrid in the Infiniti Q50/Nissan Skyline and Infiniti Q70/Nissan Fuga & Cima, there is a 2.0L hybrid Nissan X-Trail on sale in Japan. Assuming that platform and packaging commonality allows for it that means a hybrid Qashqai should be feasible, along with possible use in other vehicles like the Renault Kadjar and Talisman? Another possible safety-net for Nissan-Renault would be the link with Daimler (assuming that’s still active?) so there’s some potential for shared R&D and production on alternative energy powertrain solutions. Thinking about JLR for the sake of discussion. They are selling into major markets (North America, China, Mid-East etc) where petrol engines are the preferred option so pivoting away from diesel isn’t a total disaster there. Also isn’t the ingenium engine range modular so building more petrols and less diesels isn’t a problem? Doesn’t Peugeot already sell hybrids – up to now I believe they’ve mainly been diesel + electric, but they were designed in such a way as the IC engine type is flexible (508 RXH)? The thing is, the real world economy of hybrids such as the Prius, and the plug-in hybrids like the i3/i8/Volt/Ampera are nowhere near what the official figures are either. They’ll only get vaguely near for a very limited use case. We risk making a bogeyman out of one technology, and overlooking the shortcomings of the next flavour of the month being promoted. The focus needs to be on end to end emissions over the expected lifespan of the car, and with a more real-world testing regime. It may be necessary for the tests to incorporate more worst case measurement criteria. Have a set of standards that must be met, but don’t dictate how – that’ll get the creative fuel flowing in the engineers! Paul H as a user of the Ampera I can say categorically it does produce the figures and the Prius I owned a few years ago did the same. My driving technique is sensible without aiming for economy and my wife will readily admit I “can be” aggressive, at driving that is!